Imagine going back 450 years in time and experiencing the history and culture of America’s oldest city–St. Augustine. This colorful educational journey can be taken through the Road Scholar program. Road Scholar is the name for the programs developed and offered by Elderhostel, Inc., the not-for-profit world leader in lifelong learning. The word ‘Elderhostel’ can be defined as …”an international nonprofit organization that offers older adults short-term, low-cost courses, housing, and meals, usually on college campuses”. Seniors can select travel trips from an array of locations that range from Indianapolis to Santiago, Beijing to Berlin. My newly widowed mother-in-law loved the opportunity to travel in a safe and adventuresome environment. Road Scholar allowed her to have comfortable accommodations, appetizing meals, and a great group of fellow travelers and instructors. 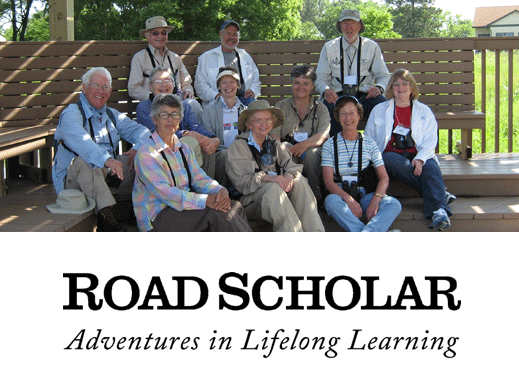 Road Scholar has been offering educational travel experiences since 1975. The company takes the worry out of planning. They handle all lodging and meals and other details of each travel trip. 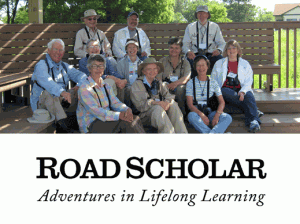 In addition, each year Road Scholar awards$250,000 in scholarships toward programs in North America for those who do not have the financial means to participate. The holiday season is just around the corner. Planning a trip for 2013 would be a wonderful gift for your favorite senior. Or taking the initiative and planning your own trip could be a great New Year’s resolution. According to Road Scholar, “All that’s needed is an inquiring mind, an adventurous spirit, and the belief that learning and discovery are lifelong pursuits. For additional information log on to: www.roadscholar.org or call (800) 454-5768.